Background: Central giant-cell granuloma (CGCG) is a non-neoplastic benign bony lesion of unknown origin. However, genetic abnormalities, trauma, inflammation, and intrabony hemorrhage are likely causative factors. It occurs most frequently in young adults under 30 years of age; females are affected more frequently than males and the anterior part of the jaw and the mandible are the sites most affected. In radiography, it appears either as a unilocular or multilocular radiolucency. According to its biological characteristics, two variants exist: The aggressive variant shows rapid growth with pain, root resorption, tooth displacement, jaw expansion, and a tendency for recurrence; the nonaggressive variant, is usually asymptomatic and slow growing. Aim: This study aims to highlight the advantages and disadvantages of the primary approaches to the treatment of CGCG through review of the existing literature. Conclusion: The different clinical behaviour of the lesions, that are difficult to distinguish histologically, lead to different treatment modalities ranging from radical resection to non-surgical therapy in the form of steroids, calcitonin, or interferon. Non-surgical therapy outcomes fail to achieve the surgery results in monitoring the lesions with restricted long-term follow-up. Most cases require further surgical intervention. Newer combination therapy is under investigation, using both surgical and the medical treatments to control the lesions. Although this is a rare bone tumor, controlled clinical studies with standardized procedures should be implemented to increase understanding. Clinical Significance: There is significant lack of agreement between the different treatment options (ranging from surgical to non-surgical). This is due to the diverse clinical behaviour of the lesion. Surgical treatment is widely accepted and regarded as the common treatment choice. However, it is also variable, with en bloc resection giving the most desirable outcome. Non-surgical options (corticosteroids, calcitonin, and interferon) have been applied and their valuable outcomes that must be considered. Kruse-Lo¨sler B, Diallo R, Gaertner C, Mischke KL, Joos U, Kleinheinz J. Central giant cell granuloma of the jaws: A clinical, radiologic, and histopathologic study of 26 cases. Oral Surg Oral Med Oral Pathol Oral Radiol Endod 2006;101:346-54. Tosco P, Tanteri G, Iaquinta C, Fasolis M, Roccia F, Berrone S, et al. Surgical treatment and reconstruction for central giant cell granuloma of the jaws: A review of 18 cases. J Craniomaxillofac Surg 2009;37:380 7. Rda RV, Biasoli ÉR, Crivelini MM, Miyahara GI. Total spontaneous regression of a central giant cell granuloma after incisional biopsy: A four-year follow-up case report. J Oral Maxillofac Surg 2014;72:730-6. Crusoé-Rebello I, Torres MG, Burgos V, Oliveira C, Santos JN, Azevedo RA, et al. Hybrid lesion: Central giant cell granuloma and benign fibro-osseous lesion. Dentomaxillofac Radiol 2009;38:e421-5. Motamedi MH, Eshghyar N, Jafari SM, Lassemi E, Navi F, Abbas FM, et al. Peripheral and central giant cell granulomas of the jaws: A demographic study. Oral Surg Oral Med Oral Pathol Oral Radiol Endod 2007;103:9-43. Rachmiel A, Emodi O, Sabo E, Aizenbud D, Peled M. Combined treatment of aggressive central giant cell granuloma in the lower jaw. J Craniomaxillofac Surg 2012;40:292-7. Vered M, Buchner A, Dayan D. Giant cell granuloma of the jawbones -a proliferative vascular lesion? Immunohistochemical study with vascular endothelial growth factor and basic fibroblast growth factor. J Oral Pathol Med 2006;35:613-9. Tobón-Arroyave SI, Franco-González LM, Isaza-Guzmán DM, Floréz Moreno GA, Bravo-Vásquez T, Castañeda-Peláez DA, et al. Immunohistochemical expression of RANK, GRalpha and CTR in central giant cell granuloma of the jaws. Oral Oncol 2005;41:480-8. Allon DM, Anavi Y, Calderon S. Central giant cell lesion of the jaw: Nonsurgical treatment with calcitonin nasal spray. Oral Surg Oral Med Oral Pathol Oral Radiol Endod 2009;107:811-8.
de Lange J, van den Akker HP, van den Berg H. Central giant cell granuloma of the jaw: A review of the literature with emphasis on therapy options. Oral Surg Oral Med Oral Pathol Oral Radiol Endod 2007;104:603-15. Mde LS, Reveiz L, Rivera LM, Asbun-Bojalil J, Dávila-Serapio JE, Menjívar-Rubio AH, et al. Interventions for central giant cell granuloma (CGCG) of the jaws. Cochrane Database Syst Rev 2009;4:CD007404. Theologie-Lygidakis N, Telona P, Michail-Strantzia C, Iatrou I. Treatment of central giant-cell granulomas of the jaws in children: Conservative or radical surgical approach? J Craniomaxillofac Surg 2011;39:639-44. Borges HO, Machado RA, Vidor MM, Beltrão RG, Heitz C, Filho MS. Calcitonin: A non-invasive giant cells therapy. Int J Pediatr Otorhinolaryngol 2008;72:959-63. Reddy V, Saxena S, Aggarwal P, Sharma P, Reddy M. Incidence of central giant cell granuloma of the jaws with clinical and histological confirmation: An archival study in Northern India. Br J Oral Maxillofac Surg 2012;50:668-72. Tsichlaki A, George KS, Manisali M. An unusual presentation of a maxillary central giant cell granuloma. J Surg Case Rep 2012;2012:7. Aghbali A, Sina M, Pakdel SM, Emamverdizadeh P, Kouhsoltani M, Mahmoudi SM, Janani M. Correlation of histopathologic features with demographic, gross and radiographic findings in giant cell granulomas of the jaws. J Dent Res Dent Clin Dent Prospects 2013;7:225-9. Vered M, Nasrallah W, Buchner A, Dayan D. Stromal myofibroblasts in central giant cell granuloma of the jaws cannot distinguish between non-aggressive and aggressive lesions. J Oral Pathol Med 2007;36:495-500. Wang C, Song Y, Peng B, Fan M, Li J, Zhu S, Bian Z. Expression of c Src and comparison of cytologic features in cherubism, central giant cell granuloma and giant cell tumors. Oncol Rep 2006;15:589-94. Vered M, Buchner A, Dayan D. Immunohistochemical expression of glucocorticoid and calcitonin receptors as a tool for selecting therapeutic approach in central giant cell granuloma of the jawbones. Int J Oral Maxillofac Surg 2006;35:756-60. Sezer B, Koyuncu B, Gomel M, Günbay T. Intralesional corticosteroid injection for central giant cell granuloma: A case report and review of the literature. Turk J Pediatr 2005;47:75-81. Kaban LB, Dodson TB. Management of giant cell lesions. Int J Oral Maxillofac Surg 2006;35:1074-5. Rawashdeh MA, Bataineh AB, Al-Khateeb T. Long-term clinical and radiological outcomes of surgical management of central giant cell granuloma of the maxilla. Int J Oral Maxillofac Surg 2006;35:60-6.
de Lange J, van den Akker HP, Klip H. Incidence and disease-free survival after surgical therapy of central giant cell granulomas of the jaw in the Netherlands: 1990-1995. Head Neck 2004;26:792-5. Fonseca FP, Ribeiro AC, Santos-Silva AR, Vargas PA, Lopes MA. Fine needle aspiration cytology and intralesional steroid injection in a central giant cell granuloma affecting the gingiva: A new clinical approach. Braz Dent J 2013;24:420-7. Nogueira RL, Faria MH, Osterne RL, Cavalcante RB, Ribeiro RA, Rabenhorst SH. Glucocorticoid and calcitonin receptor expression in central giant cell lesions: Implications for therapy. 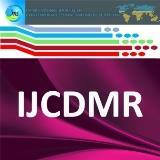 Int J Oral Maxillofac Surg 2012;41:994-1000.